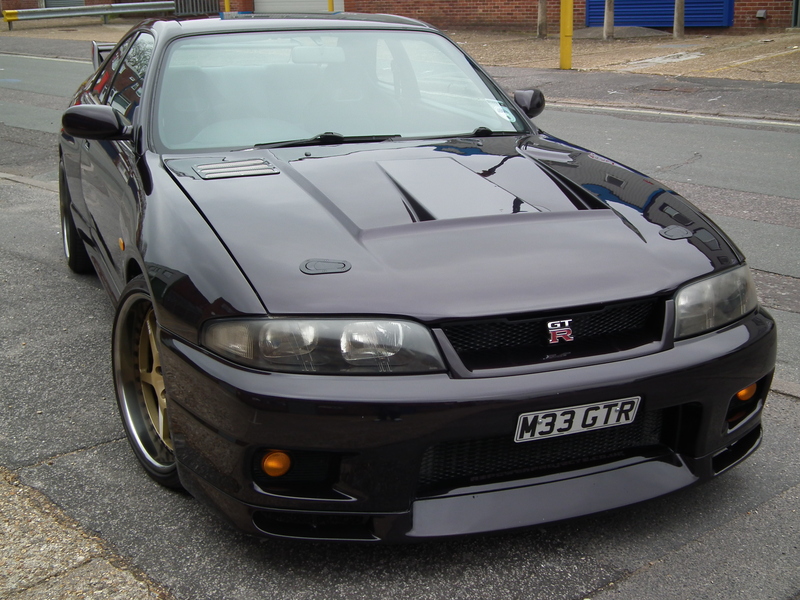 Meet my R33 GTR V-spec with an RB30 inside! 535bhp+ and 520ftlbs of torque @ 6800rpm and 1.1bar boost. Thats over 450bhp and 430ftlbs torque at the wheels! RB30 bottom end fully dipped and honed prior to build. 60mm wastegate with screamer pipe! Sounds immense! 19″ HRE wheels fully refurbished in custom colours with bespoke carbon centre caps. Large Aftermarket ally Rad with high pressure cap.